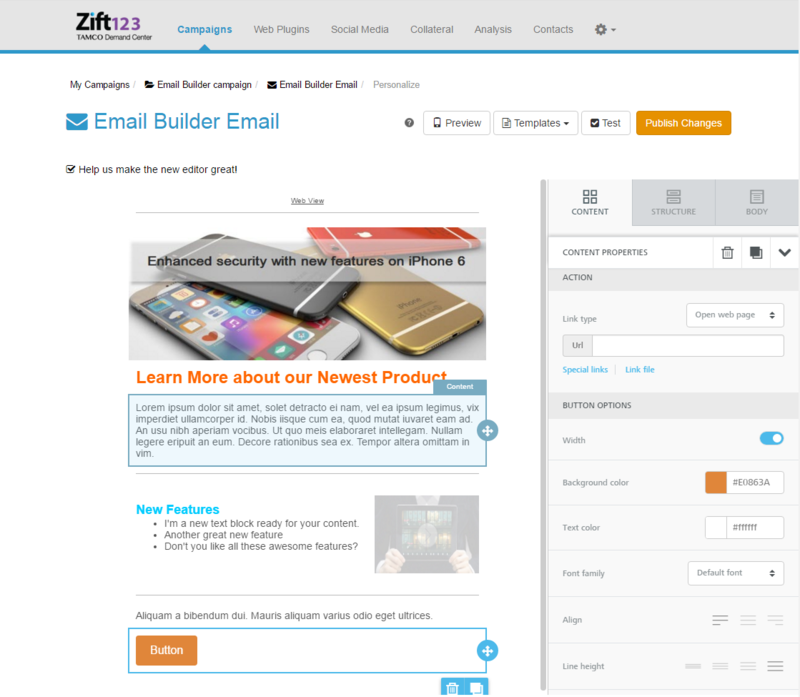 Zift123 users can quickly build an email campaign without having to be expert in HTML with the new Email Builder. The new WYSIWYG editor allows users to quickly add, edit and modify email modules with simple drag & drop functionality. Additionally users can use editing features like merge tags and special links to further customize emails with names, email opt-in, and unsubscribe. 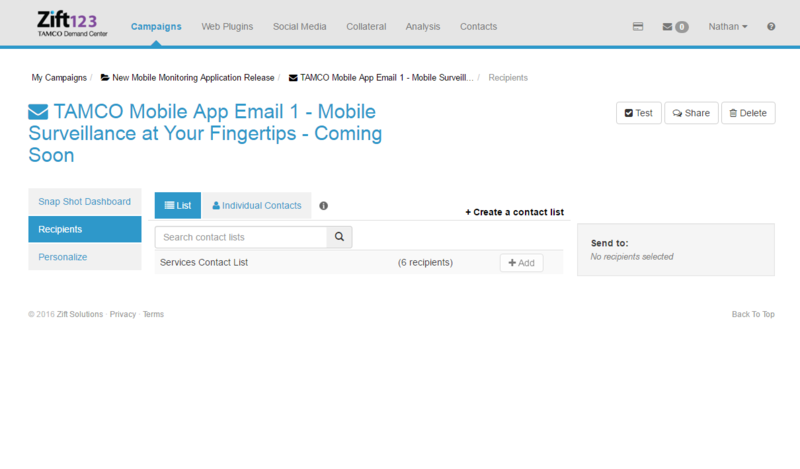 The Email Builder is supported with a variety of standard email templates that can be customized to meet the needs of individual users. Updated Contact List Search default text to reflect proper terminology.